The HandleBards are the world’s first cycling theatre company. Before touring their “seriously silly” production of Romeo and Juliet around the world, they pedalled it 1500 miles around the UK by bicycle, with all the necessary set, props and costume in tow. Now, the show is back by popular demand – and, in usual HandleBards style, you can expect riotous amounts of energy, a fair old whack of chaos, and a great deal of laughter. 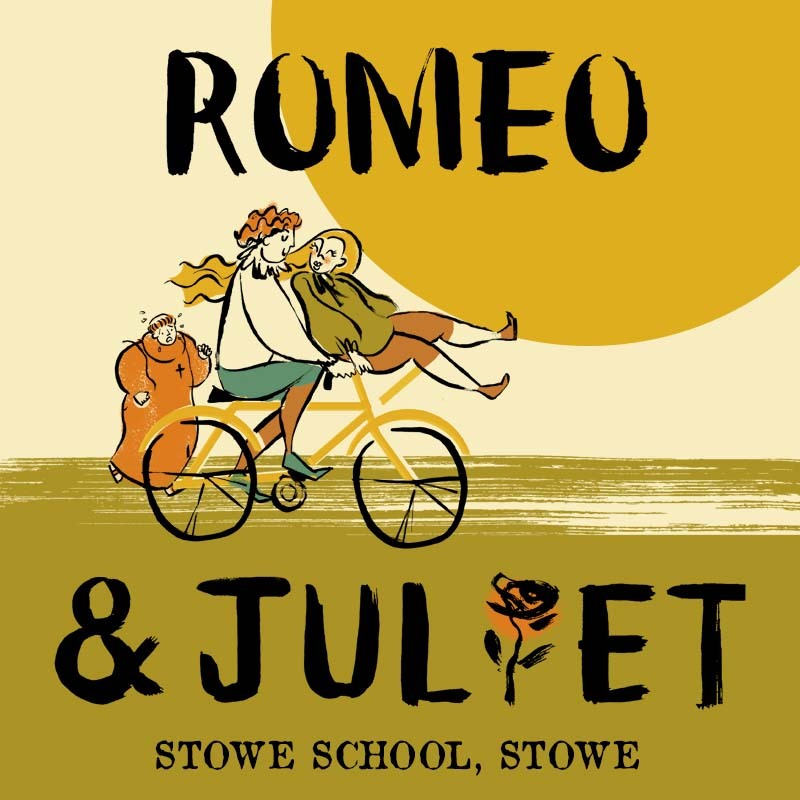 Join the HandleBards’ all-female troupe at Stowe School in Buckingham for Romeo and Juliet as you’ve never seen it before! And what’s the play about? Well – Romeo and Juliet fall in love, despite the fact that both their families hate each other. Hilarity ensues… Well, sort of. Chairs, picnics, blankets and any other low level accessories are welcome. As are well-behaved dogs. Tickets for this show are being handled by the venue – please visit their website, here.